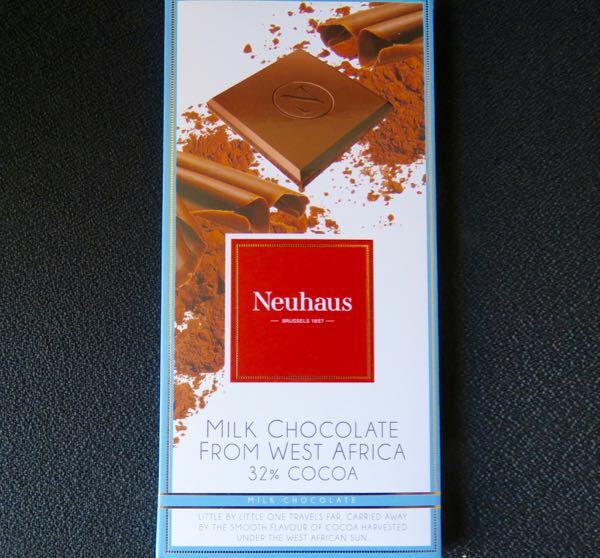 Welcome to Day #17 of Chocolate and Africa Theme Weeks. Today's 32% Milk Chocolate bar was made by Neuhaus (in Vlezenbeek, Belgium) using cacao grown in West Africa. 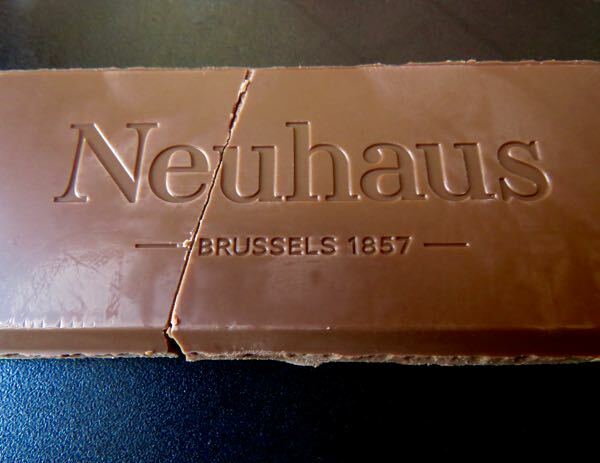 Neuhaus invented a form of praline many years ago and has been making confections and chocolate since 1857. 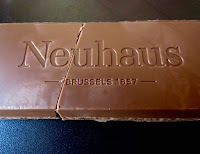 I was very hungry when I ate this bar, and managed to eat the whole thing. Haven't done that, i.e. 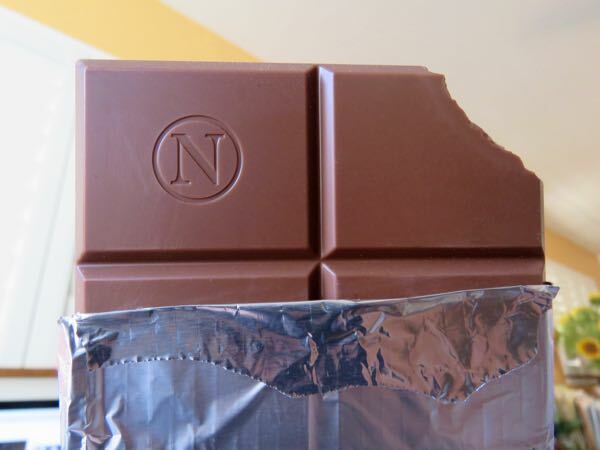 eaten a whole bar that was a thirty-something percent cacao for awhile. 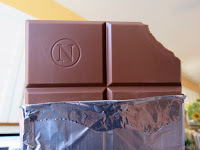 The bar was a smooth and creamy and very edible, with hints of fruit and caramel.